ofVec2f is a class for storing a two dimensional vector. You will also see the term vector used to describe an array of objects in C++ (such as text strings). Don't let this confuse you, they are quite different: one of them is a mathematical term for a fixed-length list of numbers that you can do mathematical operations on, the other is a C++-specific term that means 'dynamically sizeable array'. ofVec2f has two member variables, x and y, which allow to conveniently store 2D properties of an object such as its position, velocity, or acceleration. As you can see this really makes dealing with vectors as easy as dealing with single floats or ints, and can reduce the number of lines of code you have to write by half, at the same time making your code much easier to read and understand! Create a 2D vector (ofVec2f) from a 3D vector (ofVec3f) by throwing away the z component of the 3D vector. Create a 2D vector (ofVec2f) from a 4D vector (ofVec4f) by throwing away the z and w components of the 4D vector. Construct a 2D vector. Defaults to (0,0). Returns true if both vectors are aligned (pointing in the same direction). tolerance is an angle tolerance/threshold (specified in degrees) for deciding if the vectors are sufficiently aligned. tolerance an angle tolerance/threshold (specified in degrees) for deciding if the vectors are sufficiently aligned. Returns: true if both vectors are aligned (pointing in the same direction). Just like align but the angle tolerance is specified in radians rather than degrees. 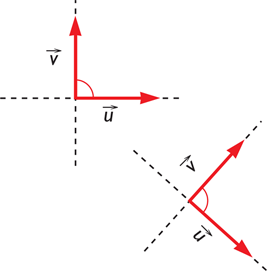 tolerance an angle tolerance/threshold (specified in radians) for deciding if the vectors are sufficiently aligned. Calculate and return the angle in degrees between this vector and vec. Calculate and return the angle in radians between this vector and vec. Sets this vector to be the average (centre of gravity or centroid) of a given array of ofVec2fs. points is the array of ofVec2fs and num specifies the number of ofVec2fs in the array. Sets this vector to be the average (centre of gravity or centroid) of a given array of ofVec2f. num specifies the number of ofVec2f in the array. Treats both this vector and pnt as points in 2D space, and calculates and returns the distance between them. distance involves a square root calculation, which is one of the slowest things you can do in programming. If you don't need an exact number but rather just a rough idea of distance (for example when finding the shortest distance of a bunch of points to a reference point, where it doesn't matter exactly what the distances are, you just want the shortest), you can use squareDistance instead. Calculate and return the dot product of this vector with vec. Perform a linear interpolation of this vector's position towards pnt and return the interpolated position without altering the original vector. p controls the amount to move towards pnt. p is normally between 0 and 1 and where 0 means stay the original position and 1 means move all the way to pnt, but you can also have p greater than 1 overshoot pnt, or less than 0 to move backwards away from pnt. Return a copy of this vector with its length (magnitude) restricted to a maximum of max units by scaling down if necessary. Returns: A copy of this vector with its length (magnitude) restricted to a maximum of max units by scaling down if necessary. Calculate and return the midpoint between this vector and pnt. Return the normalized ofVec2f that is perpendicular to this vector (ie rotated 90 degrees and normalized). Returns a pointer to the memory position of the first element of the vector (x); the second element (y) immediately follows it in memory. This is very useful when using arrays of ofVec2fs to store geometry information, as it allows the vector to be treated as a simple C array of floats that can be passed verbatim to OpenGL. Return a new ofVec2f that is the result of rotating this vector by angle degrees around the origin. Returns a new vector that is the result of rotating this vector by 'angle' degrees about the origin. Like getRotated but rotates around pivot rather than around the origin. Returns a new vector that is the result of rotating this vector by 'angle' degrees about the point 'pivot'. Return a new ofVec2f that is the result of rotating this vector by angle radians around the origin. Returns a new vector that is the result of rotating this vector by 'angle' radians about the origin. Like getRotatedRad but rotates around pivot rather than around the origin. Return a new ofVec2f that is the result of scaling this vector up or down so that it has the requested length. Perform a linear interpolation of this vector's position towards pnt. p controls the amount to move towards pnt. p is normally between 0 and 1 and where 0 means stay the original position and 1 means move all the way to pnt, but you can also have p greater than 1 overshoot pnt, or less than 0 to move backwards away from pnt. length involves a square root calculation, which is one of the slowest things you can do in programming. If you don't need an exact number but rather just a rough idea of a length (for example when finding the shortest distance of a bunch of points to a reference point, where it doesn't matter exactly what the lengths are, you just want the shortest), you can use squareLength instead. Restrict the length (magnitude) of this vector to a maximum of max units by scaling down if necessary. Maps this vector from its default coordinate system -- origin (0,0), X direction (1,0), Y direction (0,1) -- to a new coordinate system defined with origin at origin, X direction vx, and Y direction vy. In most case you want vx and vy to be perpendicular and of unit length; if they are not perpendicular you will have shearing as part of the mapping, and if they are not of unit length you will have scaling as part of the mapping. This is handy if, for example, you want to find out when a point becomes close enough to another point to trigger an event. Set this vector to the midpoint between itself and pnt. Returns true if any component is different to its corresponding component in vec, ie if x != vec.x or y != vec.y; otherwise returns false. Returns: true if any component is different to its corresponding component in vec, ie if 'x != vec.x' or 'y != vec.y', otherwise returns false. Return a new ofVec2f that is this vector scaled by multiplying both x and y members by f.
Scale this vector by multiplying both x and y members by f.
Returns a new vector with a float value f added to both x and y members. Super easy vector addition. Returns a new vector (x+vec.x,y+vec.y). Adds a float value f to both x and y members. Super easy addition assignment. Adds vec.x to x, and adds vec.y to y. Returns a new ofVec2f that is the inverted version (mirrored in X and Y) of this vector. Returns a new vector with a float value f subtracted from both x and y members. Super easy vector subtraction. Returns a new vector (x-vec.x,y-vec.y). Subtract a float value f from both x and y members. Super easy subtraction assignment. Subtracts vec.x from x, and subtracts vec.y from y. Return a new ofVec2f that is this vector scaled by dividing both x and y members by f.
Scale this vector by dividing both x and y members by f.
Returns true if each component is the same as the corresponding component in vec, ie if x == vec.x and y == vec.y; otherwise returns false. Returns: true if each component is the same as the corresponding component in vec, ie if x == vec.x and y == vec.y; otherwise returns false. This function can be handy if you want to do the same operation to both x and y components, as it means you can just make a for loop that repeats twice. Set this vector to its own normalized perpendicular (by rotating 90 degrees and normalizing). Rotate this vector by angle degrees around the origin. Like rotate but rotates around pivot rather than around the origin. Rotates this vector by 'angle' degrees about the point 'pivot'. Rotate this vector by angle radians around the origin. Rotates this vector by 'angle' radians about the origin. Like rotateRad but rotates around pivot rather than around the origin. Rotates this vector by 'angle' radians about the point 'pivot'. Set the x and y components of this vector by copying the corresponding values from vec. Set x and y components of this vector with just one function call. Treats both this vector and pnt as points in 2D space, and calculates and returns the squared distance between them. Use as a much faster alternative to distance if you don't need to know an exact number but rather just a rough idea of distance (for example when finding the shortest distance of a bunch of points to a reference point, where it doesn't matter exactly what the distances are, you just want the shortest). It avoids the square root calculation that is ordinarily required to calculate a length.